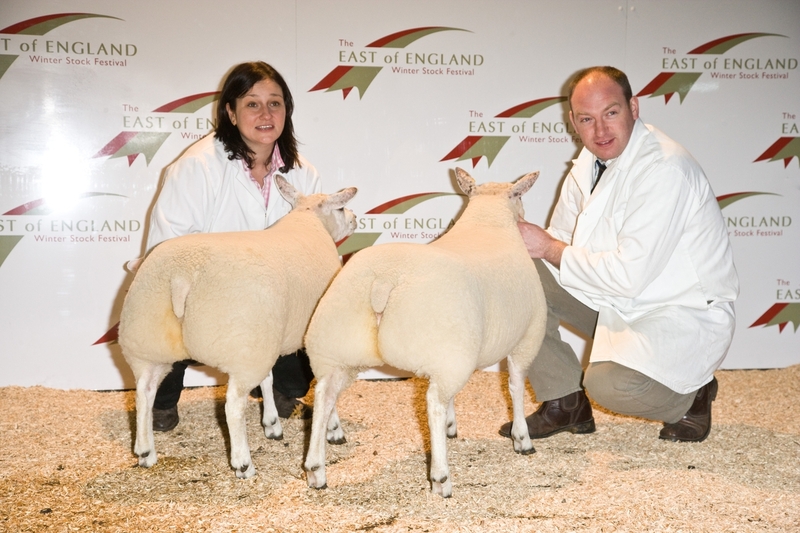 This was the first year the East of England Winter Stock Festival held classes on the showground for prime lambs and exhibitors travelled far and wide to compete. 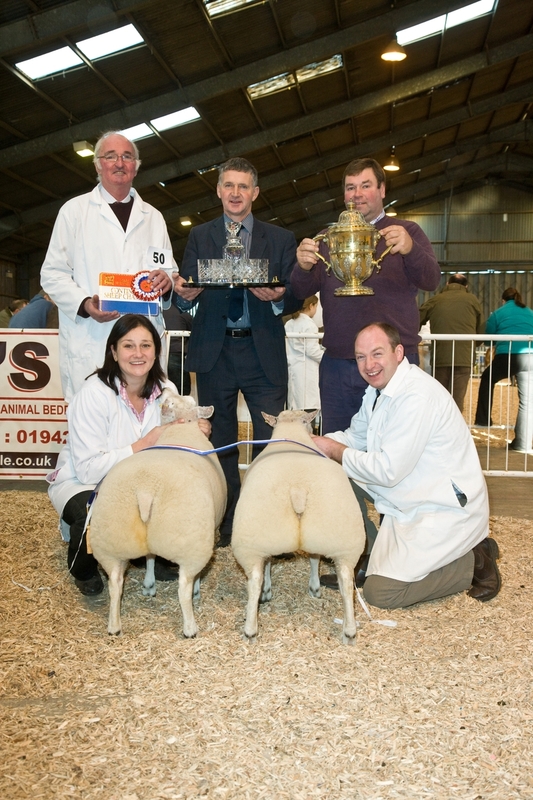 Top honours went to prolific winners the Hall family, Carlisle. But in a change of form it was a pair of Rouge cross lambs from their Inglewood Edge-based flock which took the top award, rather than the Beltex they usually lead championships with. This 92kg pair are by a tup bred by John Watkins and out of Beltex sired ewes from the commercial flock John Hall and daughter Joanne Skelton run at home. This was the first time the Halls have ventured to the East of England Winter Stock Festival, but the second time they’ve taken the Smithfield title. They were adding to their Countryside Live and Agri-Expo titles of earlier this year with the lambs once again prepared for the event by Johnny Aiken. These sold for £280/head (£6.08/kg). On winning form was the Rouge crosses from John Hall, with daughter Joanne Skelton and Johnny Aitken pictured.